Before proceeding with troubleshooting, please make sure that your device is compatible with the Steel HR / Steel HR Sport. Make sure your Steel HR / Steel HR Sport is close enough to your mobile device (1 m/3-4 ft.). 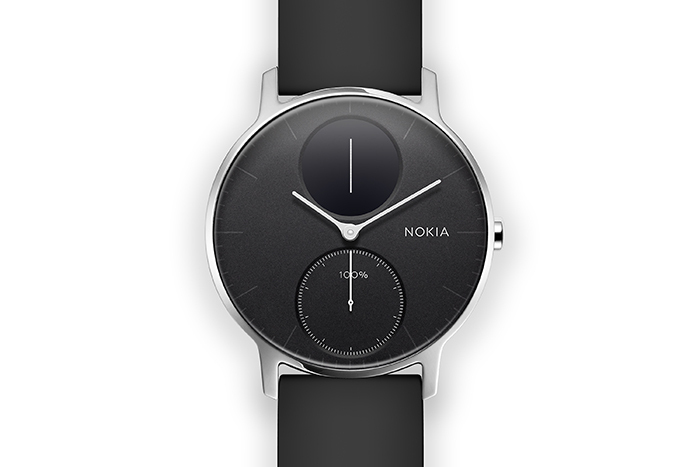 Make sure your Steel HR / Steel HR Sport displays "go.withings.com" when you press the button. If you still encounter this issue, reach out to Customer Service by clicking the Contact us button at the bottom of the page. Note: Android users may have to change the permissions of the app to be able to connect via BLE. To do so, go to Settings > Apps > Health Mate > Permissions and enable Location. Press the button of your Steel HR / Steel HR Sport for 5 to 6 seconds. Press the button until “Factory reset” is displayed. Press the button for one second until “Reset in 5 clicks” is displayed. Press the button five times to effectively reset your watch. Keep your Steel HR / Steel HR Sport close to your mobile device during the installation process. A vertical bar may appear on the display of your Steel HR / Steel HR Sport right after the setup. If you encounter this issue, press the button of your Steel HR / Steel HR Sport for 15 seconds.